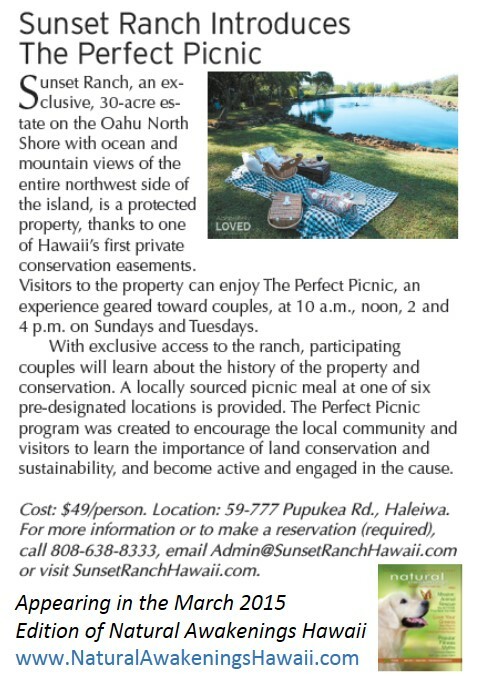 "This is a wonderful example of how an agricultural easement has protected prime agricultural land and helped diversify operations on a ranch known for its equine training and therapy programs, as well as its scenic views," stated Bruce Petersen, NRCS Director of the Pacific Islands Area. NRCS is the federal agency that provides voluntary technical assistance for conservation and restoration of natural resources on private agricultural lands. Established in 1935 as a response to the Dust Bowl, the Soil Conservation Service (SCS) evolved to the Natural Resources Conservation Service to protect, restore and enhance soil, water, air, plants, and animal resources, with human social, economic and cultural considerations. In 1937 Soil Conservation Associations, now called Soil and Water Conservation Districts (SWCD), were authorized by President Roosevelt to act as local partners to the Federal SCS, and can plan and carry out local programs for soil conservation, flood prevention, water management, outdoor recreation, and other purposes within their boundaries. Hawaii has 16 SWCD’s on eight islands. At Sunset Ranch, we continue to work hard to expand our botanical garden elements. We hope to continue to add more and more native species throughout the property. 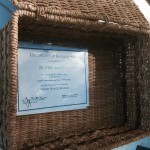 Moreover, in honor of the owner's grandmother, Fern, we have officially dedicated a portion of the property to her memory: Fern's Garden. 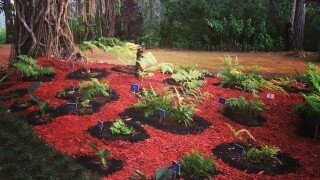 Thank you to Kay Lynch and Waimea Valley for making our vision of Fern's Garden a reality. 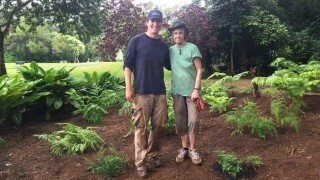 Kay helped assist with clearing and planting thirteen native fern species in our garden this past month! We look forward to continued efforts with Kay to manage and build our native fern collection. She, after all, is the expert! 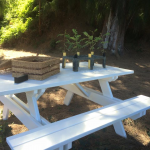 The Native Tree planting program was made possible by an operating agreement with Hi'ipaka, LLC, the owner and operator of Waimea Valley. As a result, Sunset Ranch guests are provided exclusive access to newly cleared trails and lookouts in the mauka regions of the valley. We have just recently begun to eradicate invasive plants and trees as we thoughtfully reintroduce native plants with the objective of meaningfully advancing forest restoration in this region of the North Shore.